By 1680 the General Post Office was in Lombard Street and then the Inland Section controlled 32 letter carriers, based there, and set up Receiving Houses throughout London, including Coffee Houses. 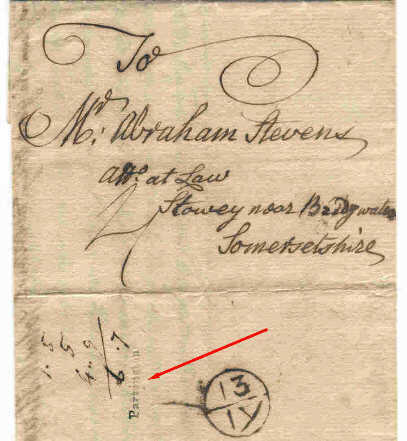 From the time it began until about 1790, the Receiving House could be identified by a stamp showing the initials of the Receiver. In only two cases do the stamps show the complete name. 'Partington' and 'Walter'. 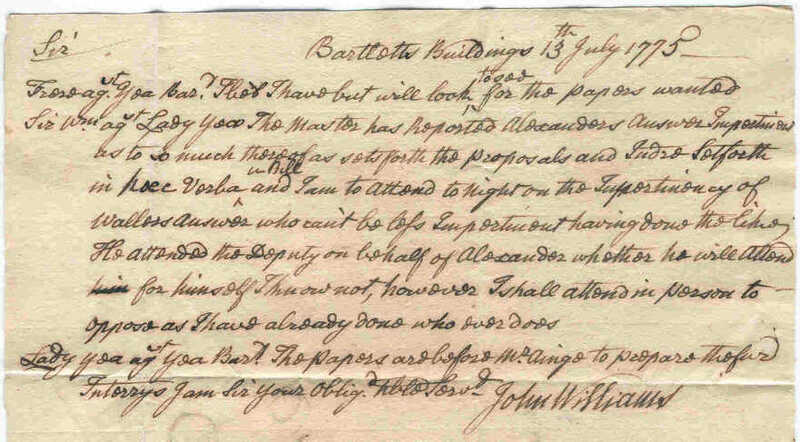 'Partington' is shown in the catalogue as known to be in use 1755-1782, and this letter was dated 13 July 1775. This is difficult to decipher, but obviously concerns a legal case, possibly a divorce? Sir Wm. agst Lady Yeo. The Master has reported Alexanders answer Importinont as to so much those of as sets forth the proposals and India Solforth in poec Verba in Bill and I am to attend tonight on the Importinancy of Waller's answer who can't be less Importinant having done the likely. He attended the Deputy on behalf of Alexander whether he will attend for himself I know not, however, I shall attend in person to oppose as I have already done who ever does.